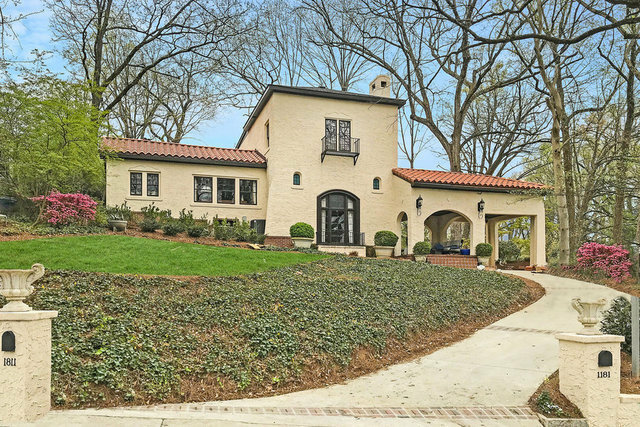 Remarkable top-to-bottom renovation in stellar location between Morningside and Druid Hills featuring designer finishes throughout, new roof, new driveway, new HVAC, new tankless H2O heater, new lighting and wiring and new high-end appliances. Beautifully redesigned kitchen features quartzite and walnut counters, new custom cabinetry with built-in pantry, stainless steel appliances and breakfast area with French doors to the courtyard. Two-story fireside family room and separate dining room. Master suite with marble spa bath, fireplace and custom closets. Lovely outdoor living spaces plus three car garage!